For many years, flushable baby wipes have made our lives easier. 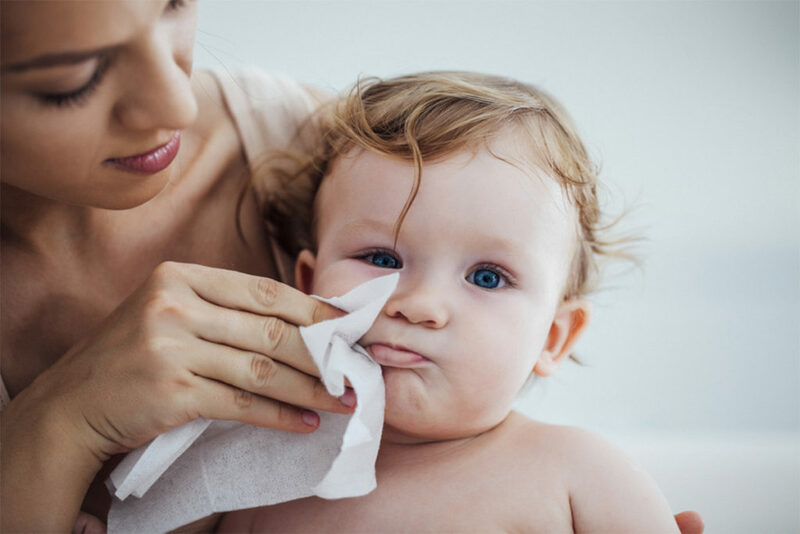 There are many uses for baby wipes: baby and toddler care, washing hands when soap and water is not available, personal cleansing, and removing makeup, just to name a few. Until recently, baby wipes were disposable – but not flushable. Now, flushable baby wipes have been introduced and we may never go back. No more smelly baby wipes in the trash cans – something that has long been on many parents’ wish list. We will review seven of the best flushable wet wipes on the market so that you can find the perfect one for your needs. Whether for adults, babies, or potty-training toddlers, there is something on the market for everyone. What are Flushable Baby Wipes Made Of? 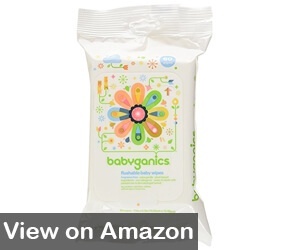 Babyganics Flushable Baby Wipes are one of the best flushable baby wipes on the market. 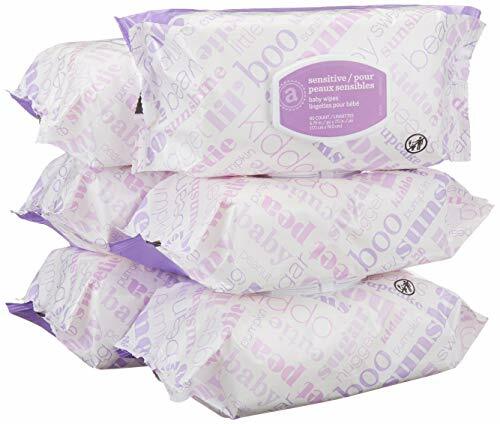 Made with plant-based products and non-allergenic, these wipes are great for baby’s sensitive skin. With products that are eco-friendly as well as baby-friendly. Babyganics aims to create products that are effective while keeping baby’s health as well as the planet’s health in the forefront. The wipes are fragrance free – which means they do not have a perfume smell. Extra gentle for baby’s most sensitive skin. Skin-nourishing – helps to natural hydrate baby’s skin. Ingredients are plant-based for the most natural clean. Sewer and septic tank safe – comply with all flushability regulations. The most common complaint from parents is the wipes can be difficult to get out of the package when you need them. Once your child reaches the toddler stage, he/she wants to do most things on their own. Kandoo Kids Flushable Wipes were designed with this in mind and are the best flushable wipes for toddlers. These soft and gentle potty-training wipes are just the right size for your toddler. Kandoo products are designed to promote independence in children – allowing them to keep themselves clean on their own, which is what toddlers like to do. Made with products that parents feel good about makes it easier for parents to let their little one take their first steps to becoming independent and confident individuals. Gets your little one 30% cleaner than dry toilet paper. No harsh chemicals to irritate toddler’s skin. Contains Vitamin E and natural fruit extracts to naturally keep toddler’s skin soft and moisturized. Biodegradable and safe for septic tanks and sewer systems. 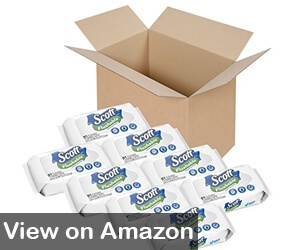 Soft resealable package is great for home-use or on the go. States they are alcohol-free, but benzyl alcohol is on the ingredient list. All babies have sensitive skin – some more than others. As a parent, we want to use products that will do the most good for baby’s skin while doing the least harm. Perfumes and harsh chemicals often irritate baby’s skin. 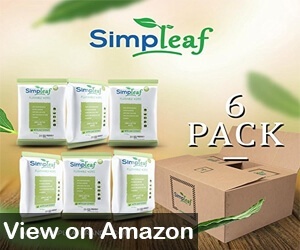 If you are looking for the best flushable wipes for sensitive skin, Simpleaf flushable wipes are hypoallergenic and safe for sensitive skin. Supporting charities that work to create better living conditions for everyone. Simpleaf proudly supports African charities that are dedicated to fighting poverty wherever it is needed. Hypoallergenic and free from any harsh chemicals (no alcohol or parabens) so no worries about irritating baby’s skin. Contains Aloe Vera extract to gently soothe baby’s skin and help prevent skin irritation. Thicker than most wipes for a better clean. Convenient packaging makes these ideal for home use or travel. Biodegradable – safe for septic tanks and sewer systems. 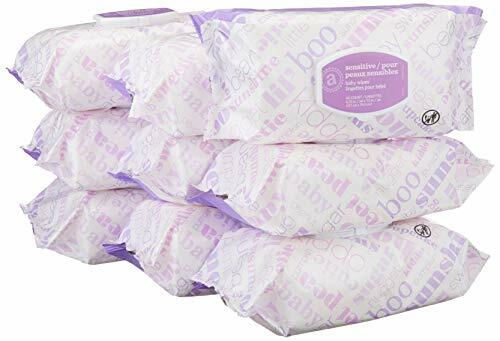 Sticks closed rather than having a plastic closure, which may make it more difficult to remove wipes and may not have a proper seal to keep wipes from drying out. 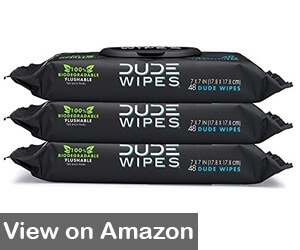 DUDE Flushable Wet Wipes are the best flushable wipes for adults. 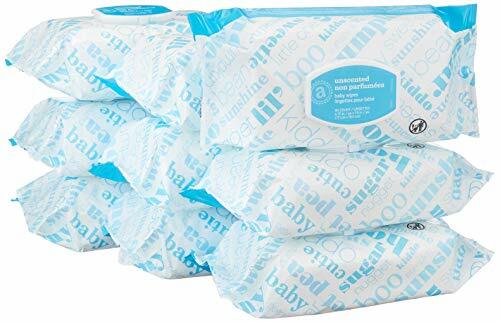 Designed specifically for dads (dudes) to keep their nether regions clean and fresh, these wipes worked so well, the DUDES soon developed a crib edition for baby – perfectly packaged for use at home or on the go. DUDE cleansing products started in 2011, when four friends who were fed up with rough toilet paper decided to create their own solution to irritated bums. So, they created their own line of wet wipes. In 2015, the DUDES appeared on Shark Tank where the made a deal with Mark Cuban – and the rest is flushable history. Made 25% larger than other wet wipes for a full clean each time. Free of harsh chemicals such as alcohol and parabens. Contains Aloe and Vitamin E to protect sensitive areas and promote healthy skin. Biodegradable – safe for sewer systems and septic tanks. It is sometimes difficult to remove only one wipe. Made from 100% plant fibers and 100% flushable, Scott Flushable Wipes are one of the best flushable wipes for septic tanks. Scotts flushable wipes start breaking down as soon as they are flushed and are safe for sewer systems and septic tanks, so you can flush without guilt. The first to put toilet paper on a roll and the first to take it off. Now, they are among the leading companies for flushable wipes that make cleanup a breeze for every member of the family. Made from 100% plant-sourced fibers for biodegradability. Hypoallergenic – fragrance-free, alcohol-free, and free of harmful dyes. 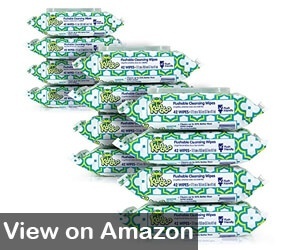 This package includes eight resealable 51-count soft packs – ideal for use in the home or on the go. SafeFlush technology immediately begins to break down the wipes as soon as they are flushed – making them safe for septic tanks and sewer systems. 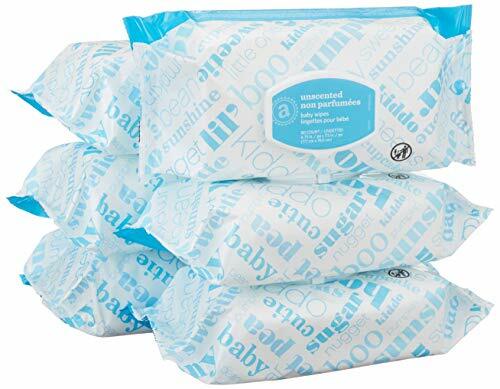 These wipes are soft yet strong enough for every member of the family – use in the bathroom, nursery, or on-the-go. Some consumers state that the wipes tear too easily, which can result in having to use more to get the job done. With so many products to choose from, it is important to choose the best biodegradable flushable wipes to ensure they do no harm to your septic tank or sewer system. Charmin Freshmates Flushable Wet Wipes are designed to work with all septic and sewer systems providing you a fresher clean than toilet paper. These wipes are one of the best adult flushable wipes on the market. Designed to reflect feminine fashions of the day, was “charming”. For many years, Mr. Whipple warned us against squeezing the Charmin – since 2000, animated bears have been tolling the virtues of Charmin, making the whole outlook of the company charming. Charmin has been a trusted household name in toilet paper since the 1920s. Paired with Charmin toilet paper, Charmin Freshmates provide the ultimate cleaning experience for the entire family. 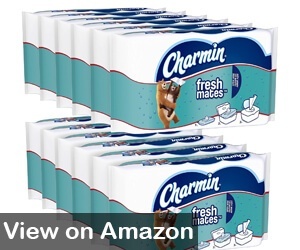 Charmin Freshmates come in a plastic, closable package for use in any room of your home. The strength and freshness of the wipe always leaves you feeling fresh and clean. These wipes are not unscented, and do contain fragrance, so may not be suitable for people with sensitive skin. Cottonelle FreshCare Flushable Wipes are 100% flushable and begin breaking down immediately after flushing, making these one of the best flushable wipes for sewers on the market today. Packaged for use at home or on-the-go, Cottonelle flushable wipes are convenient and one of the best flushable wipes available. Cottonelle brand is a registered trademark of Kimberly-Clark Worldwide, and is based on a 150-year heritage of honesty, integrity, and doing the right thing. Their products are available in 175 countries and are engineered to provide cleaning solutions that are good for the consumer and good for the environment. Their innovative products help people all over the world who live in less than sanitary conditions – because we all deserve to be clean. Wavy texture provides a deeper clean for the entire family. Biodegradable and 100% flushable – safe for sewers and septic tanks. Large dual-layer wipes get the job done with fewer wipes. The dual layer and wavy texture make Cottonelle flushable 50% stronger than other brands. 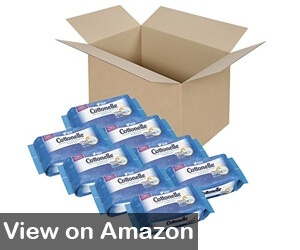 Use with Cottonelle toilet paper for the ultimate in clean and freshness. The peel and seal tip does not provide a complete seal, causing the wipes to dry out quickly. Do not use baby wipes on unbroken skin. Always follow the manufacturer’s recommendations for using baby wipes. Allow skin to completely dry before reapplying diaper or clothing. To keep baby wipes from drying out, be sure to close the lid tightly after each use. Immediately dispose of used baby wipes. Check the label for information such as shelf life (before and after opening) and storage recommendations (such as temperature). Always be sure to check the list of ingredients when choosing a flushable baby wipe to be sure it does not contain ingredients that you are allergic to. You will also want to know what type of material the baby wipe is made from. There are a variety of materials used for wipes – cotton, wood pulp, polyester, polypropylene (plastic), and rayon fibers. These materials are combined with cleaning products, water, moisturizing agents, and preservatives that provide a longer shelf life and prevent molds and bacteria that can grow in damp environments. Some also include natural fruit extract or perfumes. Something else to be on the lookout for is if the wipes are perfume free or scent free. Perfume free and scent free are not the same thing. While the label may declare the wipe is perfume free, it does not necessarily mean the wipe is unscented. Often the fruit extracts used in the wipes can provide a scent. 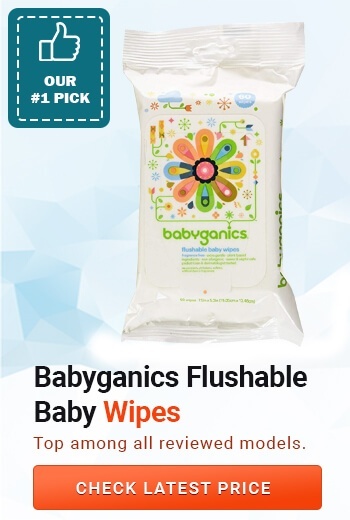 Whether you are searching for the best flushable wipes for baby or the entire family, there is something for everyone. 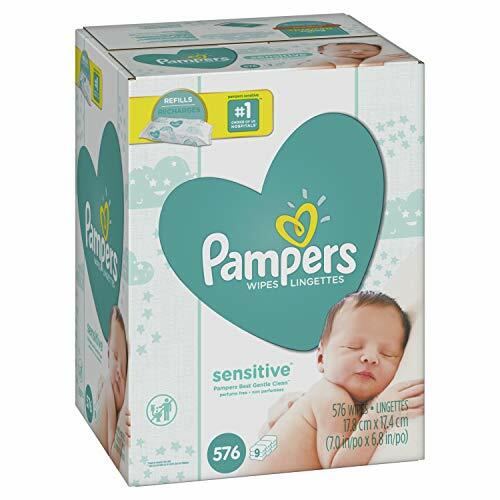 When choosing for baby, always read the label to ensure that the wipe contains no harsh chemicals or dyes that can irritate baby’s sensitive skin. As with anything flushable, be sure to use caution to avoid causing damage to your septic or sewer system. Flush no more than one or two wipes at a time to be on the safe side. Happy Flushing!